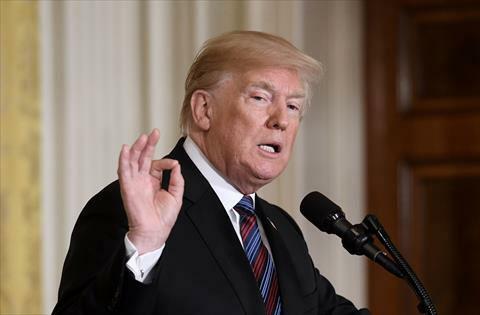 WASHINGTON — President Donald Trump’s White House vowed on Wednesday that the US mission in Syria would come to a “rapid end” but failed to put a timetable on an eventual withdrawal. Just days after Trump shocked aides and allies by declaring that the 2,000 troops would come home soon, US officials moved to scotch talk of a precipitous pullout. The decision will reassure those in Washington pushing for a longer commitment to countering Russian and Iranian influence in a Syria still wracked by civil war. But the hawks’ relief may not last; the White House statement made it clear that the mission will continue only as long as it takes to defeat the beleaguered Daesh terrorist group. And, with only a few thousand Daesh fighters thought to remain, the rationale for keeping US troops alongside Kurdish and Arab militia allies in the east of Syria may soon expire. “The military mission to eradicate Daesh in Syria is coming to a rapid end, with [the group] being almost completely destroyed,” the White House said. “The United States and our partners remain committed to eliminating the small ISIS [Daesh] presence in Syria that our forces have not already eradicated,” it added. This commitment was lacking last week, when Trump triggered speculation of an imminent withdrawal by lamenting that America had wasted $7 trillion fighting in the Middle East. “We’ll be coming out of Syria, like, very soon. Let the other people take care of it now,” he vowed, in a speech. This appeared to contradict or undermine the policy outlined in January that troops would stabilise areas recaptured from Daesh radicals and boost US influence over Syria’s future. Then secretary of state Rex Tillerson argued US forces must remain to prevent Daesh and Al Qaeda from returning and to deny Iran a chance “to further strengthen its position in Syria”. And he warned that “a total withdrawal of American personnel at this time would restore” Syrian strongman Bashar Al Assad to “continue his brutal treatment against his own people”. Trump has since sacked Tillerson, but US military commanders and diplomats have continued to work to implement the policy, including efforts to stabilise eastern Syria.